Is this the first smartphone running BBX, the new BlackBerry operating system RIM unveiled last month? 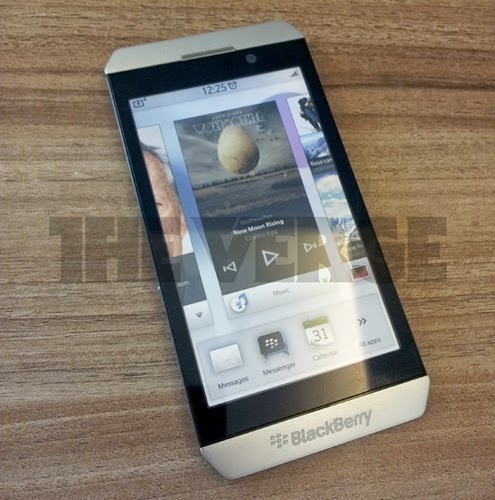 According to The Verge, the smartphone is called the BlackBerry London and is scheduled to be released in June 2012. It comes with a TI OMAP 1.5GHz dual-core processor, 1GB of RAM, 16GB of storage, an 8-megapixel rear-facing camera and a 2-megapixel front-facing camera. The device appears to be quite large — The Verge‘s source said it was about the same size as the Galaxy SII (which has a 4.3-inch screen and is 0.33 inches thick), but is thinner than the iPhone 4. The screen itself only hints at BBX’s interface. The slick-looking device displays a static image and is not a screenshot of the operating system in action, according to The Verge. In official BlackBerry news, RIM announced two BlackBerry OS 7 smartphones, the BlackBerry Bold 9790 and Curve 9380, on Monday.